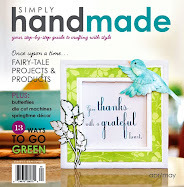 I'm excited to be sharing a project I made with the new Tropical Punch line by Dazzle-it! The collection includes lucite flowers, chains, flower components and polyester pipe! 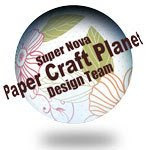 Its perfect for everyone from the beginner to advanced jewelry maker! I decided to make a simple flower necklace for the summer months. I had left over Purple Shaded pieces and thought they would make a pretty pendant with a bit of stamping. You know if its on my desk its going to eventually get stamped, LOL! For this next necklace, I stamped the purple curved piece with a Stampendous image (SSC1196) in StazOn and then added dots of white nail polish. I attached organza ribbon to the chain and wired the stamped piece on. Be sure to head on over to the Dazzle-It Blog to see what everyone has whipped up! A big thank you to Carmi and John Bead Corporation for inviting me to be a part of this hop!